The Osun State Commissioner For Empowerment and Youth Engagement, Mrs Folake Adegboyega has urged the newly elected members of National Youth Council Of Nigeria in Osun State to developed themselves so as to uphold the good legacies that will strengthen the development of the state. 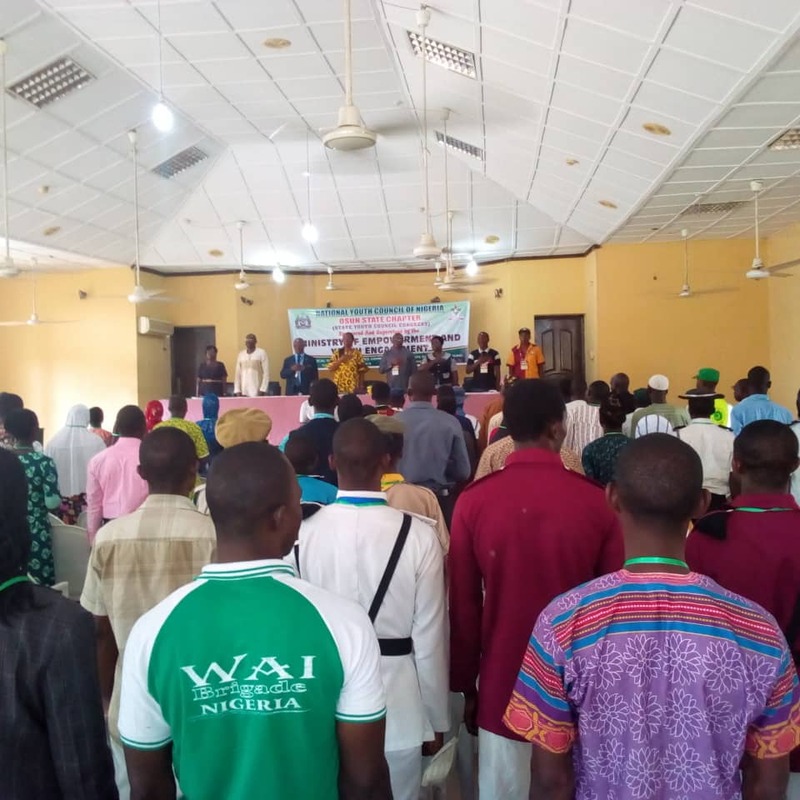 Mrs Adegboyega made the appeal at the National Youth Council Of Nigeria (NYCN) elective Congress of new executives held at local government services commission in Osogbo, the state capital. The Commissioner also urged the Council to be true Omoluabi and law abiding citizens by abstaining from all forms of violence that could jeopardize their images regarding them as the leaders of tomorrow. According to a statement issued by the public secretary of the Council, Ajala Adetunji, the elective Congress was characterise by Intergrity, transparent and non violence which was mode to follow by other state. The congress was attended by youths, relevant stakeholders, affiliated voluntary youth organisations, observers, ministry of youth officials as well as noble and lofty Nigerians within the state. The new set of executives was affirmatively elected and sworn in to paddle the canoe of the State Youth Council in the next parliamentary years.